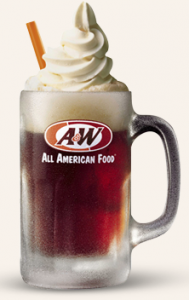 Snag a FREE root beer float today. Yum! Top 35 Easy Snacks & Appetizers Recipes for the Whole Family is currently FREE (Reg. $2.99!). The Color of Heaven (The Color of Heaven Series Book 1) is currently FREE (reg. $2.99!). 60 Bread Recipes For The Family is currently FREE (reg. $4.49!). Free Movie Screening – Go here to see if there is a FREE advanced movie screening of The Visit by M. Night Shyamalan (releases in theaters nationwide on September 11th), available in your city or a city nearby. Free Grilled Flat – Reserve your spot and enjoy a FREE Grilled Flat at Corner Bakery Cafe with a side of baby carrots. Free Backpacker Magazine Subscription – Sign up and receive a FREE 9-issue digital subscription to Backpacker Magazine! Free Wizard of Oz Printable Pack – Download a FREE 60-page Wizard of Oz Printable Pack. 20% Off Corn – Hurry and login to your SavingStar account to load this new 20% off loose fresh Corn SavingStar Rebate Offer! This offer is valid through Aug. 10 only. Free K-Cup Sample Pack – Free Walmart is offering a FREE K-Cup pod sample pack. Note: Website is very slow. Thanks to Hip 2 Save! Free Children’s Audiobook – Sign up for the Penguin Random House Audio newsletter and receive the FREE audiobook download of The Tale of Peter Rabbit and Other Stories by Beatrix Potter. Free Zarbee’s Vitamin Drink Mix Sample – Send a friend a FREE Sample of Zarbee’s Vitamin Drink Mix and you can tell your friend to send a free sample back to you! Note: Freebie is on Facebook. Free First Day of School Signs – Download these FREE printable First Day of School Signs. Free Health Screening – Attend a FREE Health Screening at your local Sam’s Club Saturday, August 8 from 11 am to 3 pm. This screening is called “Health Tech: Use Technology to Better Your Health” and will touch on how to get wired for wellness and have a successful school year. Free Country Hits Album Download – Calling all country music fans! For a limited time the Google Play store is offering a FREE Country Hits album download. Free Country Music Song Downloads – People magazine is offering 8 FREE country music song downloads. Artists include Gloriana, Dakota Bradley, Love and Theft, and Ashley Monroe. Offer is good for a limited time only. Cuisinart 4 Piece 12-Quart Pasta/Steamer Set Only $59.99 (Reg. $150!) + Cuisinart Cutlery Deal!